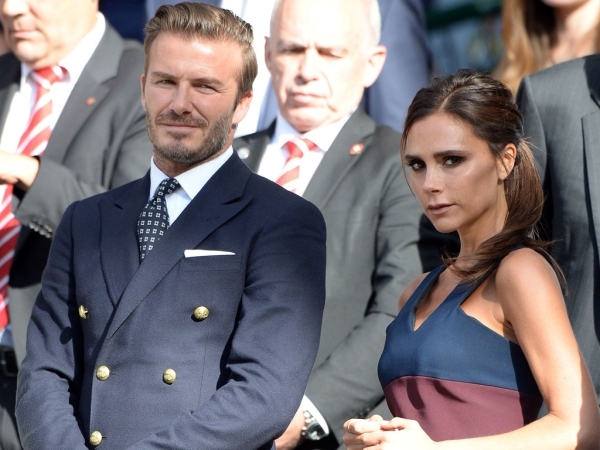 David Beckham reportedly isn't keen on his children getting into stardom at such a young age. The former soccer star and his designer wife Victoria have sons Romeo, (12) Brooklyn, (15)and Cruz, (9), along with three-year-old daughter Harper. Both Romeo and Brooklyn have already snapped up fashion campaigns, with the younger featuring in Burberry's Christmas ads. While their parents are supportive, it's thought David wants to slow things down more than his spouse. "David wants them to have a childhood and stay focused on school. Victoria's incredibly strict with school, too, but she sees how exciting these opportunities are and is much more keen. "She negotiates every deal so she can make sure the kids aren't taken advantage of, but it's caused conflict between her and David over how much they should allow the children to be in the spotlight," a source told British magazine Closer. "Victoria argues that she's only listening to what the boys want. But David doesn't want the children thinking about stardom at such a young age." And, not wanting to feel left out, Cruz is also said to have his own dreams. He is thought to have expressed an interest in the showbiz industry and his mother is reportedly trying to support his new-found curiosity. "Cruz wants to be an actor and is begging to go to auditions to make a start. David things he's too young, but Victoria suggested they get him acting lessons so he has the right tools for the future," the insider added. Overall, things are going well for the Beckham brood, with their empire worth around £500 million.